Today, a case study about a couple who started a side business of makeup for girls using my Earn1K material — a business that has now generated over $100,000. A few months back, I asked you guys to tell me one thing that IWT has helped you do. Out of the 430+ comments, this one by Chris stood out. From Earn1K to successful retail store? Sounded like a good story, so I reached out to Chris for the details – and he was VERY transparent about the ups and downs of the last two years. Read on to learn how Chris and his wife have used proven business techniques — that they learned in my Earn1K program — to take their business from $10,000 in side income, to a retail store grossing over $100,000. Recently, Blossom Girl started selling online as well. Enter I Will Teach You To Be Rich. That first gig was worth $300. By getting inside their customer’s head, Chris and Kerry’s venture evolved – becoming a better fit for both service and price as they learned more about their customers. In the next 8 months or so they earned about $10,000. All by getting inside their customer’s head. 10 stores in 10 years? Right about now, the entrepreneurial couple is feeling a lot more positive about their “work”. You’ve definitely got my attention. My friend’s martial arts school has been struggling against the economy. I just signed up for the course and can’t wait to see how I can apply your ideas. I’ll be back in touch to let you know! Such an inspirational story on how you can turn your passion into profit. I think that I will join your Earn1k course now 🙂 Based on what I saw, you are a truly awesome teacher. Amazing! The dedication and persistance combined with the fact they worked smart, not just hard is inspiring. 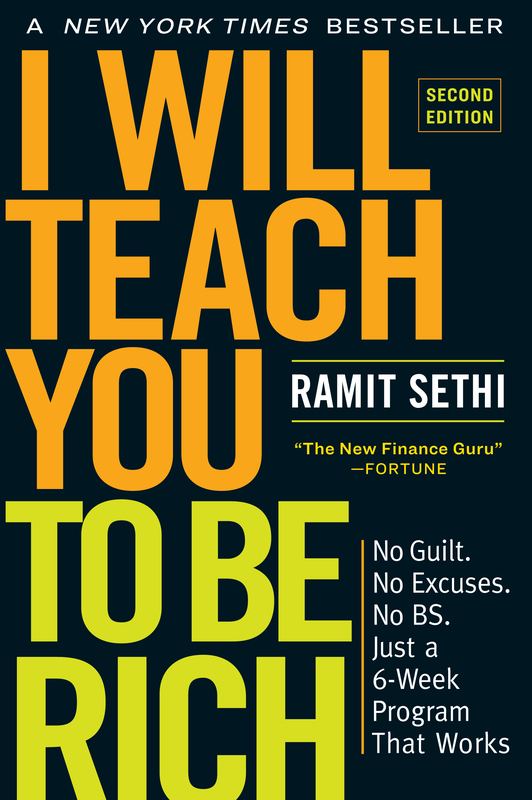 Thanks for providing the “smarts” Ramit and bettering the human condition. Love your work! Fantastic and inspirational story. Congratulations to Chris and Kelly! It looks like you “just” need to work hard to archive what you want. Thanks Ramit! Great job on the writeup. I hope our story continues to inspire and will check the comments to see if there are questions I can answer. What I like about the Earn 1K material (and what might not be overtly obvious) is that it’s quite scalabe. It’s not about just earning an extra $1,000 a month…it’s about earning that first $1,000…getting really excited about it, then pushing forward for more. Opening up a retail store is a great example. Love love love it. I signed up for your earn1k awhile back and honestly I’ve checked out the material but always made some sort of bs excuse to do it later. This story give me motivation to get back on it! They got into their customers head by selling holiday shirts at holiday time. Can you expand on that? How did they get into their heads? It seems that the story got shortened for the article. Basically, we were able to increase our sales by identifying specific items that our customers were looking for. An example of that was parents were looking for ‘holiday-themed’ clothing, which we were able to source and bring in for the holidays. This not only increased our sales for the holidays, but taught us a lot about what our customers were looking for and willing to buy. If any of you are thinking about doing Earn1K if it comes out again, I can tell you as a graduate it’s every bit the equal of an Ivy League education (which I have too). I only do my freelance on the weekends and average $160/hr teaching golf. The other pros at my course average $40/hr and now I’m selling them marketing services to add on to what I’m doing. Please, please, please if you are considering earning more money, Earn1K is the way to go. This is just good stuff. People devalue what they do so often, and it does no one a service. It’s obvious that Earn1K provides results. Just look at Ramit’s track record. The success stories are ridiculous. inspiring case study. you got my wheels turning on my CPA coaching business. will certainly look to leverage what I already have online and branch out to the brick and mortar realm of things. Very inspirational story. Looks like their formula for success was hard work and following the Earn1k materials. Wow well done. I’m sure other people reading should also appreciate its not easy! Hardwork and commitment are the key.